This CD presents a sampling of spiritual drumming featuring the conga, shekerai, Middle Eastern dumbekei, Ashanti talking drum (djun-djun), bodhran, trap tom, mridangam, Senegal and Ivory Coast djembes, Haitian agogo, and Chinese finger drum as well as a variety of other percussion instruments. Louis Martinié and Mishlen Linden of the group Drumspeak, which focuses on the sacred aspects of drumming, play festival and ritual pieces as well as compositions for use in trance and personal meditation. 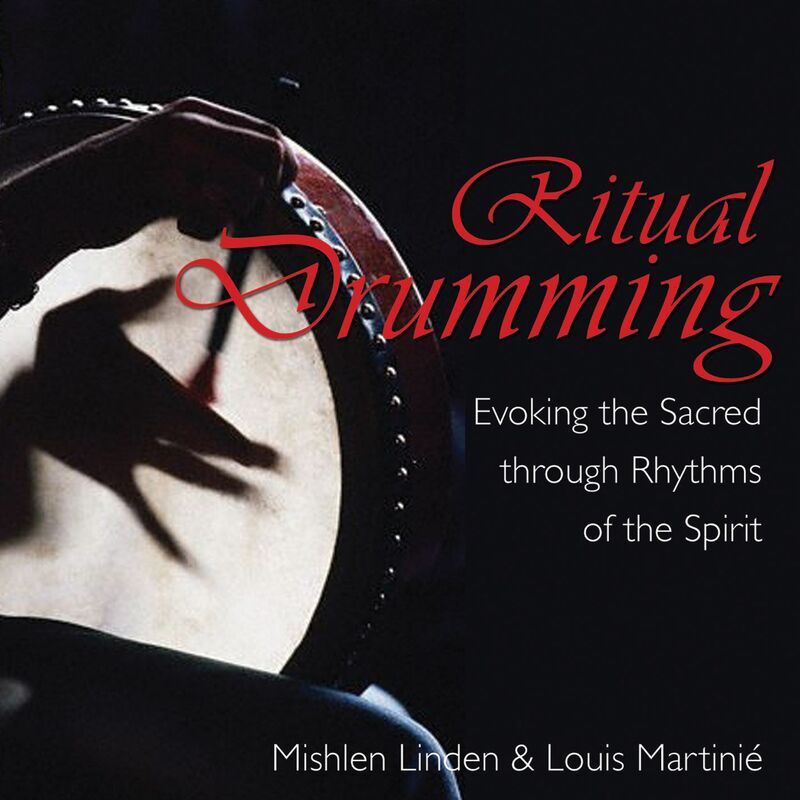 If you are interested in evoking the sacred through rhythms of the spirit, listening to Ritual Drumming by Mishlen Linden and Louis Matinie will be a greatly enjoyable experience for you!" "From people with experience in drumming circles to anyone who is moved by rhythm, Ritual Drumming is a surefire way to get blood moving through the veins of listeners. . . . perfect for drumming and dance workshops of for at-home meditation."